Let’s be real - wedding photography isn’t cheap (and it shouldn’t be). Talking moolah always seems to freak people out. I honestly think that’s for a few reasons, but mostly because everyone wants to get a great return off of their investment. You need to know that I’m not just here to take your money, take your pictures, and leave. I’m in this because I freaking love what I do & I want to be there with you during one of the most important days of your life. 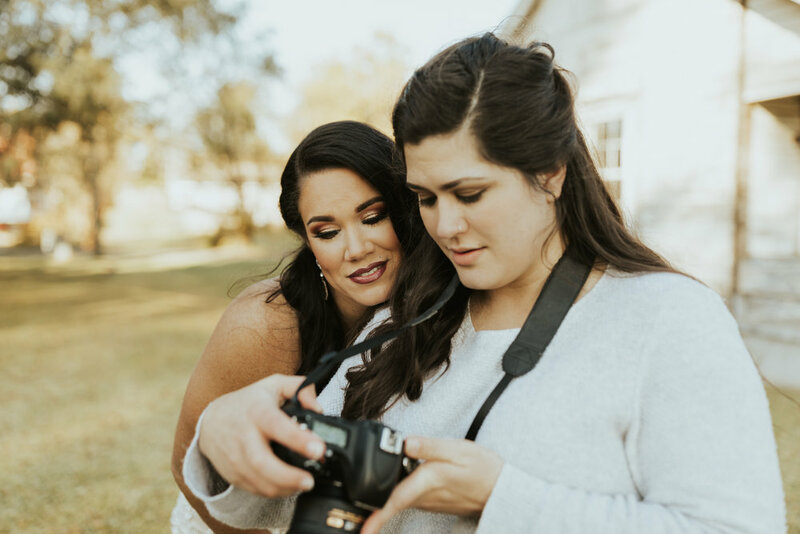 I’m the girl that works to make sure that timeline is playing itself out the way you envisioned, carries your bouquet, fluffs your dress, pins on your boutonnière, reminds you to dab your tears instead of wiping them, cries during your first look, actually listens to the words you exchange during your vows, & gets on the dance floor with you to show you my terrible moves. I’ve got your back (somebody cue up the Golden Girls theme song). That’s my guarantee & I am looking for people who believe in that as much as I do. somewhere close to your heart. your closest friends & family. 50 guests or less only. the most. Jus’ do it. hit "say hey" tab at the top of the page.